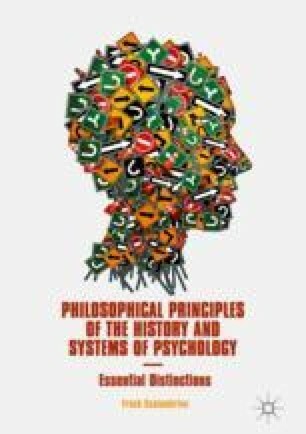 This chapter discusses the principles and essential distinctions constituting the study of Western psychology from Socrates to the beginning of Renaissance and Early Modern psychology. These principles and distinctions are associated with such luminaries as: Plato, Aristotle, Epicurus, Epictetus, Thomas Aquinas, and William of Ockham. Inextricably entwined with principles of ethics and morality, Pre-Modern psychology showcases an emphasis on the principles of freedom of the will, natural law, personhood, teleology and soteriology. A significant explication is provided regarding the systems of psychology found in the writings of Plato and Aristotle with their principles and distinctions organized in terms of structure, function, and methodology. Swindal, James. 2017. Faith and Reason. Internet Encyclopedia of Philosophy. http://www.iep.utm.edu/faith-re/. Accessed 7 Apr 2017.